Today, we’re talking to a couple of actual ammo experts (not just a pretend internet expert like myself). 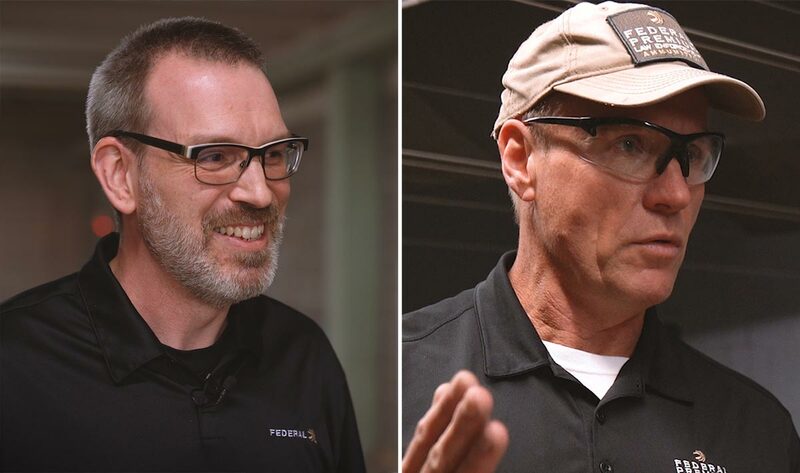 I recently spent some time with Johann Boden and Chris Laack from Federal Ammunition and they addressed some of the most common questions you guys have asked me about handgun ballistics. 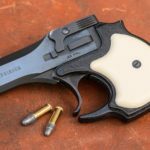 Find out how we know ballistic gel gives us a good idea of what to expect from handgun ammo, why muzzle energy and velocity don’t, and why the “caliber wars” are a waste of time. Details in the video below, or scroll down to read the full transcript! CHRIS BAKER (CB): A few months ago, I got the opportunity to travel out to Anoka, Minnesota to visit the Federal Ammunition headquarters. They gave us a tour their manufacturing facilities and we also spent some time at the range for some demos with ballistic gelatin. Federal and their sister companies CCI and Speer do a lot of things really well, but they are especially well-known for their self-defense ammo. Speer Gold Dot and Federal HST have developed a reputation as the standard by which all other self-defense ammo is measured. A couple of the guys who are partly responsible for maintaining that reputation are Chris Laack and Johann Boden. Chris is the Product Line Manager for Federal, CCI, and Speer handgun ammo and Johann is the Technical Lead for Federal and Speer’s law enforcement division. After the range demos, they were kind enough to take a few extra minutes out of their day to answer some questions for us on camera. Because of all the ammo testing we’ve done at Lucky Gunner, I get asked tons of questions about handgun ballistics. I try to answer those when I can, but these guys are far more qualified to do that. So I basically asked them some of the same questions you guys have asked me most often. The first topic was ballistic gelatin testing itself. 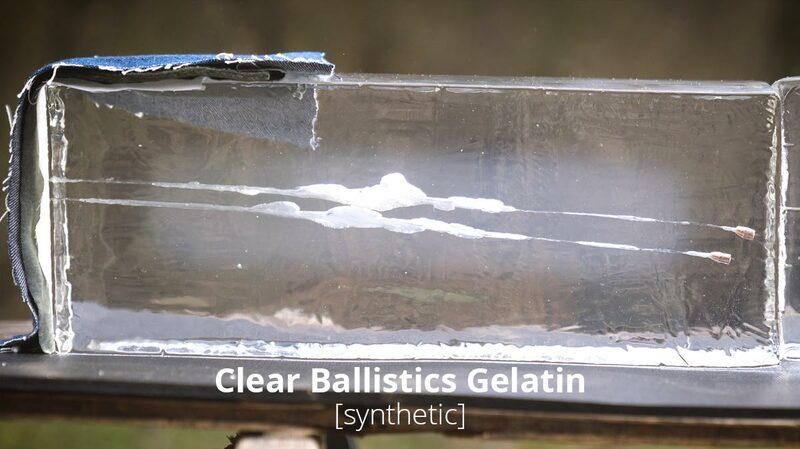 Why do we use ballistic gel to test ammo and how do we know that what happens in gelatin has anything to do with how bullets actually behave in the real world? Chris Laack (left) and Johann Boden (right) from Federal Ammunition. JOHANN BODEN (JB): Ballistic gel is basically a rendered substance out of animal tissue that is brought back into a mixture that we calibrate to a certain specification which gives us the tissue density approaching that of human tissue. The the other purpose for having a certain specified density, as set forth by the FBI, by the way, is that you have an apples to apples to apples comparison, that you have a continuous data set that is comparable, one to the other. In other words, if we have Density A shooting today and we’re shooting Density B tomorrow, they don’t necessarily correlate to each other. So it’s important to have that density as a non-variable. CHRIS LAACK (CL): Ballistics gel is great because there is so much history and there is so much data and it’s repeatable data that we can make comparisons to. And it’s not always a one to one ratio. So people get a little hung up on the one inch in gel equals one inch in some kind of organism. So, it’s not always that, but it’s important to have that baseline to understand and measure against. So this much penetration we know in this calibrated gel equates to this type of performance. People want to think things really literally. And it’s not always literal, it’s just a really good test analog to give us something to compare this to this to this in a really predictable way and have meaningful data. Take the variables out and make sure we know exactly what it’s going to do in the vast majority of situations and then when you start adding variables to it, you can predict those a little easier. JB: And then us being very lucky having very good relationships with numerous law enforcement agencies over the decades, we have learned that what works in this gelatin and looks good in the gelatin ends up being correlated and proven out on the street. We have countless adjudicated cases that have been shared with us where the results were favorable on the side of law enforcement providing a credit to our ammunition. So we we have a connection. What works in the gelatin here ends up working on the street there. I guess one really cannot emphasize enough that the gelatin is a very good model. The true validation of the model is what happens when it’s used for what it’s intended for, namely, on the street. And and not necessarily by us, only. I mean, we’re only one player in the market. I believe that the entity that probably deserves the most credit for all this is the FBI. They have developed these specs through blood sweat and tears — a lot of blood, too, right? That needs to be not forgotten, at the very least. And it was learned that these attributes in a projectile work on human organisms fairly well. 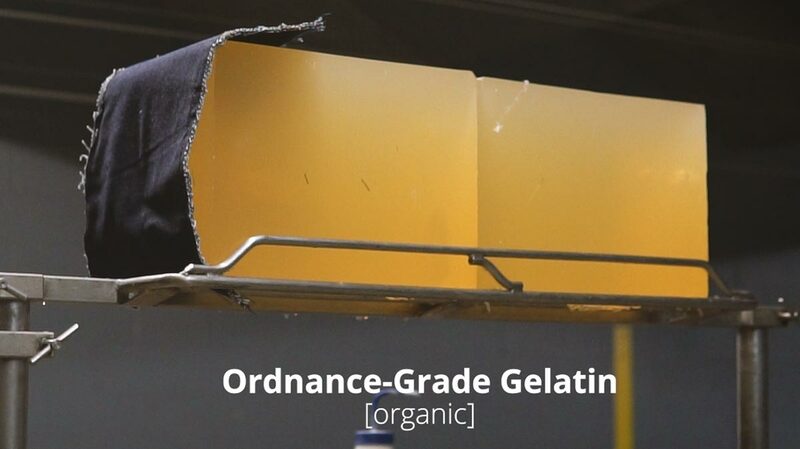 CB: If you’ve seen any of our ballistic gel tests at Lucky Gunner, you probably have noticed that we use the synthetic Clear Ballistics brand gel blocks rather than the organic-based FBI ordnance-grade gelatin that Johann was just talking about. The synthetic stuff is just much easier to work with and less labor intensive. The blocks come shipped to us ready to use so we don’t have to mix and mold and refrigerate them like we would the ordnance gel. The two mediums do not behave exactly the same but for testing handgun ammo for penetration and expansion, the results are usually comparable. Where you see a much bigger difference between the synthetic gel and the organic gel is in the temporary wound cavity. That’s when the gel stretches and kind of balloons outward right after the bullet impacts. It looks really dramatic in gelatin — especially on high-speed video with the clear gel, but with pistol ammo, that temporary cavity is not actually a good indicator of how effective the ammo is going to be. 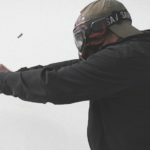 That is just one of the ways that pistol ballistics differs radically from rifle ballistics which is another topic I asked Johann and Chris about. JB: I think it can be pretty easily summarized by something that we, myself especially, learned from Buford Boone at the FBI many years ago where it was determined that the human tissue, by and large, has a certain elasticity threshold. Which really means when a handgun bullet, or a projectile at handgun velocities, hits human tissue, we display, very briefly, too fast for the human eye to see, the so-called temporary wound cavity. We’re made up largely of water, an incompressible substance. In other words, that water gets out of the way of that bullet screaming in on impact. We have that large temporary cavity and because we are elastic by nature we recover from that. Our tissue recovers, comes back together and what’s left is a permanent wound cavity, namely the crushing path that that bullet took through us. This temporary wound cavity as we expand and recover is different when projectiles hit at greater than 2200 feet per second. At that point, it appears we have surpassed the elasticity capability of human tissue and that temporary wound cavity begins tearing at its limits and margins and becomes a permanent wound cavity, which also is a conclusion why people who are center-punched with rifle projectiles typically succumb much quicker than people who are hit with handgun projectiles. The byproduct of that also seems that when when a rifle projectile at those velocities bypasses an organ, you will still have organic damage whereas a handgun projectile needs to directly hit a vital organ to do organic damage. Very big difference in the outcome most of the time. CB: So as the cliché goes, “pistols are pistols and rifles are rifles.” You can’t really push a bullet out of a pistol fast enough to achieve the kind of performance we get from a rifle cartridge. So that means penetration and expansion are the best metrics we have for evaluating handgun ammo. JB: It seems to be obliterated or washed away by the elastic capacity of our tissue. You know, you take, for example, a .44 Magnum, which is a 240-grain projectile coming in the neighborhood of 1400 feet per second. Is that significantly more than, say, a 180-grain projectile at 950 feet per second, your typical .40 cal? Yes, it’s a big difference but it does not seem to translate out into a corresponding amount of damage in a human organism. I believe that is because we expand, we recover from that, it falls within that elasticity threshold. You take, for example, that .44 Magnum, does it make a bigger more significant wound than, say, a .40 cal or a 9mm? Yes, it does, but really not enough to matter to change the outcome of a critical event in those next few seconds at that are crucial. However, at the same time, you launch that little bitty 55-grain pill coming out of an AR-15 at two and a half times the speed of sound and it hits and you see that a radical planar tearing where you have tissue damage five or six inches away from the path of the bullet. That’s what creates that a rapid hemorrhage, the blood pressure drop, the shock setting in, tissue disruption, hopefully in the right location, cardiopulmonary collapse, and things cease, lights go out. And that really seems to be concurrent with the 2,200 feet per second that was discovered by the FBI. CL: We want bullets — hunting bullets, personal defense bullets — we have a set of parameters of things that we’re trying to achieve with it. There are requirements that we have that this is what the bullet needs to do to be effective. And that’s mainly, especially personal defense, it’s penetration and expansion. How big can we get the bullet to be. How deep can we get it to go. How much tissue can we crush. It’s important to understand that energy — velocity and energy, they’re interesting aspects to consider because they help you achieve that that end goal of penetration and expansion, but they don’t necessarily correlate to terminal performance. So a really hot 10mm, for example, isn’t necessarily going to achieve something that another 10mm doesn’t. So what we want to do is get to that perfect 14 to 16 inches of penetration and get the projectile as big as we can because that is the maximum we’re going to be able to achieve with a handgun round. So, you take and push it another hundred feet per second faster, you’re not going to see more wounding potential. And if you would, we would do it. But what you’ll start to see is maybe over penetrations. Maybe the upset expands in a way where you actually get more shallow penetrations because you’re growing it fast, trying to push it too quick. You see changes in the performance. So we don’t get hung up on energy, velocity. We get hung up on penetration, expansion, the things that really are meaningful to terminal performance. We focus on that first and the other things just kind of happen. CB: Before we wrapped up the interviews, I asked Johann and Chris each, “If you could pick just one or two things you wished more shooters understood about ballistics and handgun ammo, what would they be?” I don’t think they did this on purpose, but it’s interesting that they had similar answers. CL: The idea that you need velocity, you have to push it fast to get a bullet to do a certain thing. We really have known that that wasn’t the case since the 80s. We can make, with this modern technology, a bullet do just about anything we want it to do. So it’s really, find a bullet that works really well and don’t get hung up on lots of numbers and other stuff and muzzle energy and all the other things. We can make a bullet do what it needs to do without depending on that stuff. And then don’t get hung up on calibers. If you shoot a .45 better than you shoot a nine carry a .45. There is no incremental gain you get moving up to a higher caliber that is going to overshadow your ability to shoot a smaller caliber better. JB: You know, most of us who are “gun people” have been in never ending discussions and forums and reading hundreds of articles about how much better this caliber is versus that caliber and the venerable this over the not so venerable that. And, you know, I just wish that we could get the message out a little bit better that handguns are handguns. You know, if it’s a .44 or .357 or a .41, it really doesn’t matter. They are all somewhat feeble given the potential danger that a human being can present. It is far more important to have a proper bullet design in the caliber that you end up choosing. If you end up developing a flinch and your groups open up and you don’t like shooting a .40 cal and you don’t practice with it because you don’t like the punishing recoil of it, as an example, you’ll be far better off shooting something like a 9mm that you have confidence in that you can deliver accurate fire quickly into the vital zone of your adversary. Because in the meantime, we have learned our lessons. We can get that terminal performance of a 9mm projectile pretty much up on par with that of a .40, up on par with that of a .45. Don’t get sidetracked by the caliber. Buy the best projectile you possibly can and shoot the caliber that you are good with. And then the thing that overrides all of them, it has to work. It’s got to be reliable. 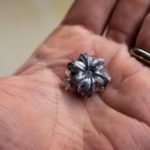 .357 Sig: What’s the Point of this Cartridge?